All juveniles, parents, legal guardians, and minors must comply with the court’s dress code when appearing in court. The municipal court has jurisdiction over juveniles (16 years of age and younger) charged with class C misdemeanor offenses. Failure to comply with this requirement or failure to complete all terms regarding juvenile charges may result in additional charges against the parent and child. In addition, such failure may result in the juvenile having his/her driver’s license suspended or prevent the juvenile from obtaining a driver’s license from the Texas Department of Public Safety. Juvenile defendants charged with an alcohol and/or tobacco related offense will be required to complete an alcohol awareness or tobacco awareness course (as applicable) and perform a required number of community service hours. This is in addition to any fine and/or cost assessed. YOU MAY NOT TAKE THE REQUIRED COURSE ONLINE UNLESS YOU RESIDE IN A COUNTY WITH A POPULATION OF LESS THAN 75,000. Failure to complete the required conditions will result in suspension of the juvenile’s driver’s license for up to 180 days or prevent the juvenile from obtaining a driver’s license from the Texas Department of Public Safety. You and your parent or legal guardian are required by law to provide the court, in writing, your current address and residence. If your place of residence changes, you have seven (7) days to notify the Court, in writing, of your new residence and address. Failure to keep the court informed of your new residence may result in a failure to appear and failure to notify charge filed against both you and your parent. The obligation of keeping the court informed of your current address and residence is required until your case is finalized. 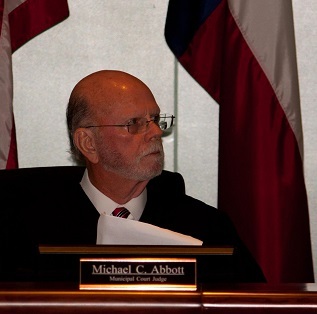 Minors are treated as adults in the Texas legal system. However, with alcohol and tobacco related offenses, there are certain conditions that must be completed in addition to payment of the fine and cost pursuant to state law. Minor defendants charged with an alcohol and/or tobacco related offense will be required to complete an alcohol awareness or tobacco awareness course (as applicable) and perform a required number of community service hours. This is in addition to any fine and/or cost assessed. YOU MAY NOT TAKE THE REQUIRED COURSE ONLINE UNLESS YOU RESIDE IN A COUNTY WITH A POPULATION OF LESS THAN 75,000. Failure to complete the required conditions will result in suspension of the minor’s driver’s license for up to 180 days or prevent the minor from obtaining a driver’s license from the Texas Department of Public Safety. Due to the serious nature of these offenses and the additional requirements, the Judge requires that all minor defendants charged with an alcohol or tobacco related offense appear in Court. Your appearance date is the date and time listed on your citation. If you are unable to read the date and time, you are unsure of your appearance date, or need to reschedule, call the court office at (409) 769-7452. If you are unable to appear in person, you must contact the court for other arrangements. If you have been arrested for an alcohol or tobacco related offense and have been time served on your fine and cost, you must still appear before the Judge and complete the additional required conditions. Minor Defendants accused of a violation other than an alcohol or tobacco offense, may handle that violation in the same manner as an adult. YOU MAY NOT TAKE THE REQUIRED COURSE ONLINE UNLESS YOU RESIDE IN A COUNTY WITH A POPULATION OF LESS THAN 75,000.